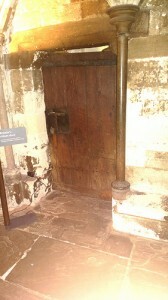 Britain’s oldest door on the way to England’s oldest garden | London My London | One-stop base to start exploring the most exciting city in the world. 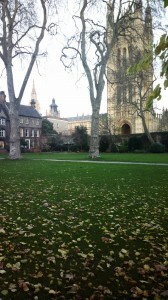 Westminster Abbey, is too glorious (and expensive at £16 per adult) to fit our usual criteria of unusual places. But not so its less visited but delightful cloisters and grounds which lead you not only to England’s oldest garden (above, right) but also to the oldest door in the country (above, left), built for Edward the Confessor around 1050. On the way you can inhale the medieval air that seems to linger in the atmosphere of the cloisters like an unexorcised ghost. After passing several other lovely enclosed gardens, including Great Cloister Garth, Little Cloister and St Catherine’s, you finally come to College Garden – as long as it is Tuesday, Wednesday or Thursday when the garden is open to the public. It is extraordinary that a garden so large and so old has survived so long in the middle of a congested city within a stone’s throw of Parliament. It was originally part of Thorney Island – so called because of its thorny bushes – a tiny parcel of land protected on either side by the triangular offshoots of the Tyburn stream on which Westminster Abbey was built. In truth it isn’t a real abbey at all. Its correct name is the Collegiate Church of St Peter at Westminster, established under a Royal Charter in 1560 as a “Royal Peculiar” under the jurisdiction of the Sovereign of the day. It is a real garden, however, with mulberry, quince, plane, walnut, fig and apple trees not to mention the ubiquitous London Plane. Well worth a visit especially in summer when the trees are fruiting and the band playing. All this is free including a mini museum of Abbey memories and explanatory leaflet for the garden. You can have a snack or coffee (by no means free) in a very pleasant cellarium whose stonework has, inexplicably, been painted white.